(This post contains affiliate links). We have a lovely giveaway for you today from Interplay; a Fuzzikins Doz Dog set from Interplay. Fuzzikins are fun, award-wining craft sets that the kids can colour and play with again and again. The Fuzzikins range come with a selection of adorable flocked animals and washable pens. Colour the animals to give them a cool look. Will it be dots or stripes today? 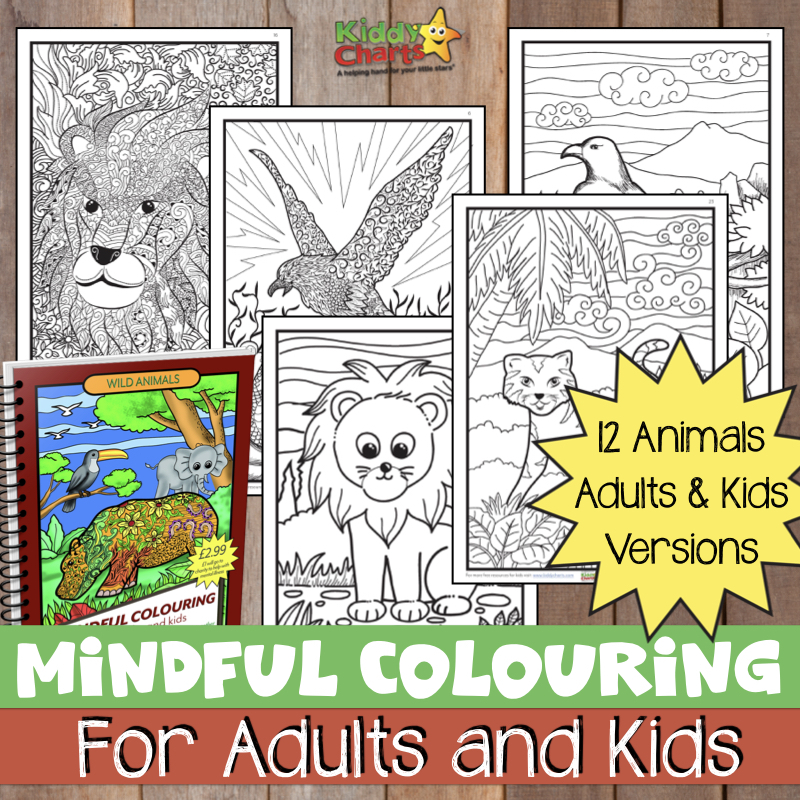 Rinse them, and you can colour again with a new design. The Fuzzikins sets also have a selection of customisable accessories and stickers to colour and decorate with. Perfect for inspiring creativity and imagination, Fuzzikins helps develop hand-to-eye co-ordination and fine motor skills. There are lots of fun Fuzzikins sets to collect – have a look atInterplayuk.com to see them all! Help the Fuzzikins Dozy Dogs get ready for play with a new look with the 3 pens. You can colour the dogs with whatever designs your heart desires. Wash them and you can colour them again with a new look. 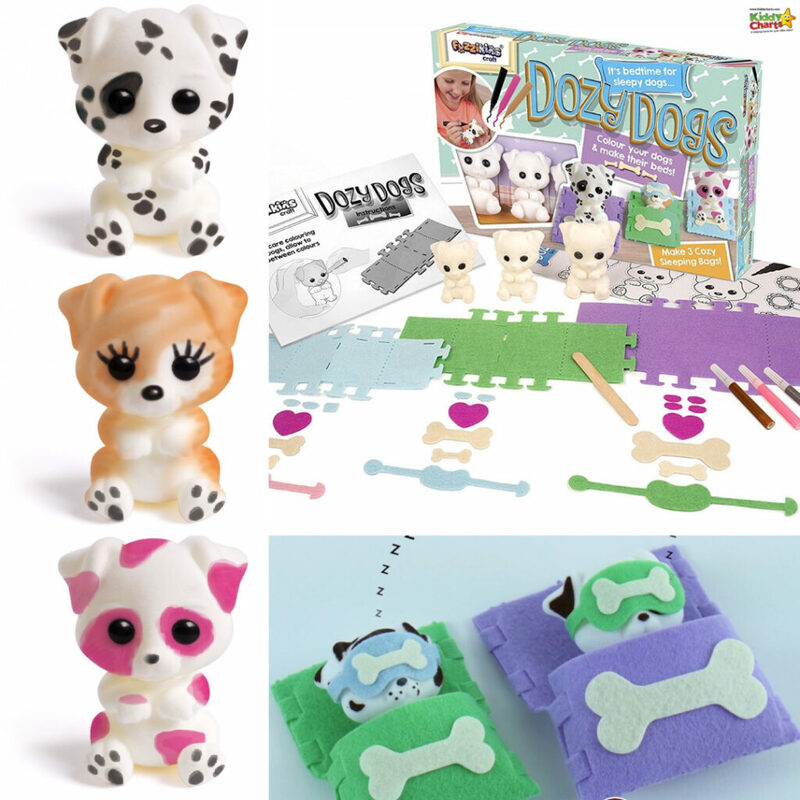 Then make up their cute felt sleeping bags and personalise them with cute doggy bone designs. When they are tired from all the fun and games, tug them into their decorated sleeping bags for a little snooze. There is so much fun to be had. They are perfect for inspiring creativity and imagination, it also helps develop hand-to-eye co-ordination and fine motor skills. Fuzzikins Dozy Dogs retail at £9.99 RRP each. There are lots of fun Fuzzikins sets to collect – check out Interplayuk.com to see them. Popping along to the KIddyCharts Instagram account as well. If you like this giveaway, do check out the other ones that we have on the site too, won’t you? So what are you waiting for – get Gleaming! Our usual terms and conditions apply for this giveaway and the closing date is Thursday 25th April at 11.59pm. Thanks so much for coming to the site, and good luck. My granddaughters love creating things so designing their own cute dogs would be right up their alley. My grandson loves dogs and I love to see him with creative activities. I would like it for my granddaughter to design her own patterns on them! I love that they can both create their own unique dog to play with together! Creativity is often missing in play and toys. This set fixes that nicely. My niece would like this, as she likes creative things. My little girl loves these, we have one and she really really wants more to create a world in her imagination – she’ll be an amazing writer when she grows up with that imagination!! How much they love imagine play – this is ideal! my niece would go crazy for this!!! My kids love dogs, but we can’t have one as I’m allergic. I like how they can personalise the toys and give them their own character. I would love to win this for my niece. She loves arts and crafts but loves animals too. I’d love to win this for my grandaughter for its educational value. I would love to win this to craft with my son. He is really into crafting at the moment. I use it to help him relax and try to hold his attention. He would enjoy making the dogs have multicoloured spots. I’m always looking for something ‘crafty’ and fun to do with my grandchildren, this looks like great fun and good that you can decorate over and over again. I love that it is something they can personalise and keep to play with. Being creative and artistic is something my nieces love. My eldest two granddaughters are dog crazy. They would love a Fuzzikins set. My Granddaughter loves anything to do with animals & to be able to colour her dog exactly as she wants him to look would be brilliant. She is always colouring & making stuff. my granddaughter is mad about dogs, all her imagination play is about dogs, even nanny has to be a dog when she goes round there!?! My step-grandchildren are always drawing pictures of my dog, so it would be lovely for them to be able to create him in 3D! Arts and Crafts :- Popular with the children, as well as other age groups. April is National Pet Month. We do love pets. Dogs are adorable, as so friendly, loving and loyal. Would be a great activity, and treasured toys.